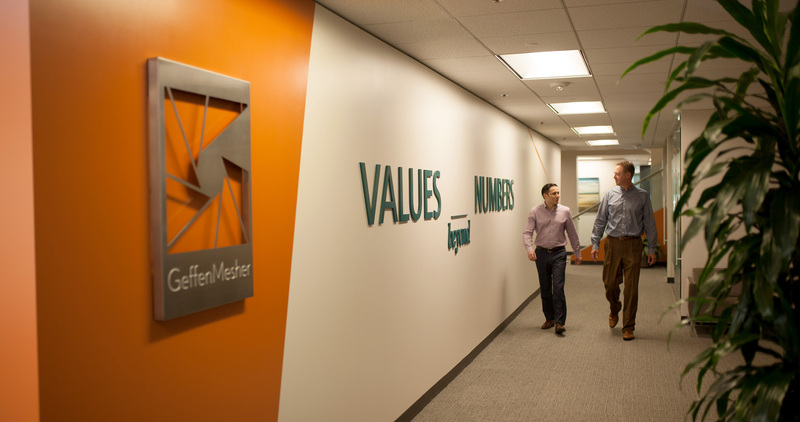 Since 1933, Geffen Mesher has supported the lives, financial planning, businesses, and goals of their clients. 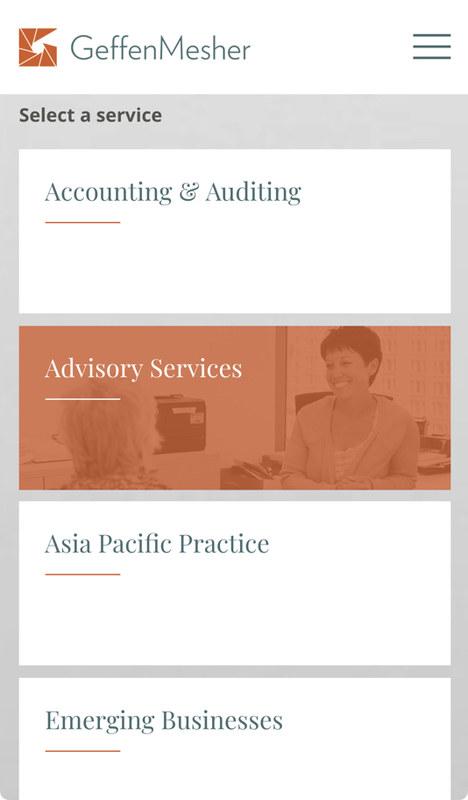 Seeking a web presence that is as solidly built, easy-to-use and welcoming as their buildings, they hired Harlo to create a modern, responsive website experience. 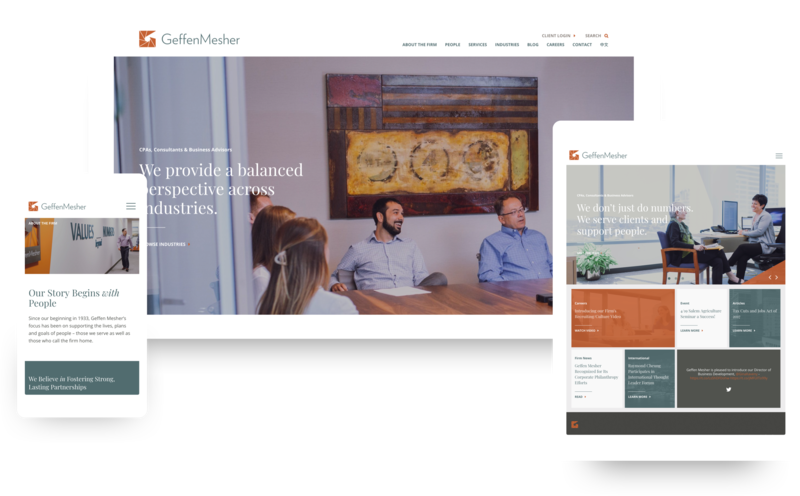 The resulting website captured the essence of their brand, close-knit company culture and outstanding work assisting those they serve as well as those who call the firm home. Harlo helped to break ground with a focused strategy and fresh new art direction focused on their deeply held company values and community commitment. 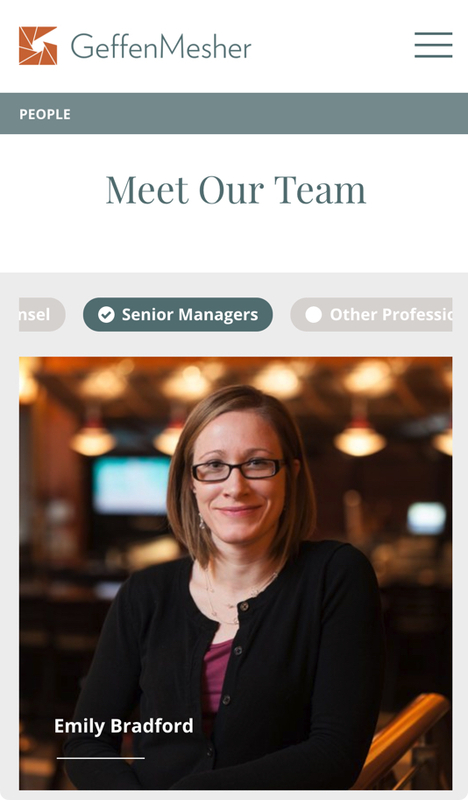 The website project redesigned their online presence from the ground up, including key messaging, copywriting, custom photo shoot, revamped design and development in an easy-to-use content management system. 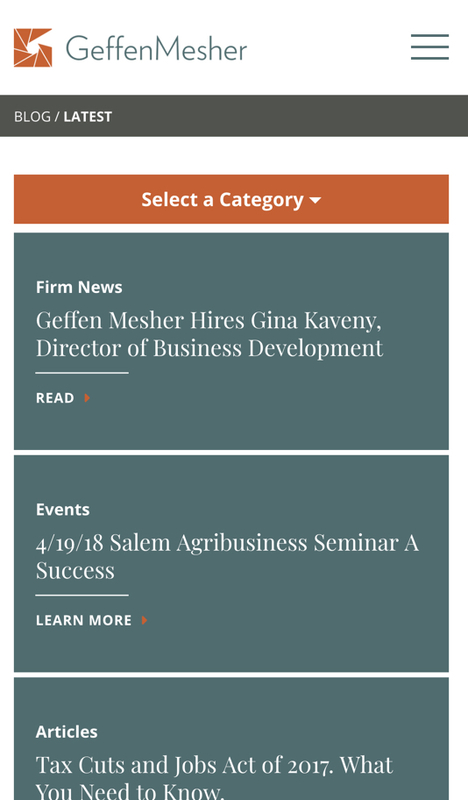 Geffen Mesher’s website puts community first—just like the company. Striking and bold brand elements complement beautifully documented the project and office culture photography, creating a backdrop for the most important aspect of the brand: their longstanding values. The new site routes over one-third of homepage traffic to their Community page, demonstrating to visitors what makes this company truly unique among developers.